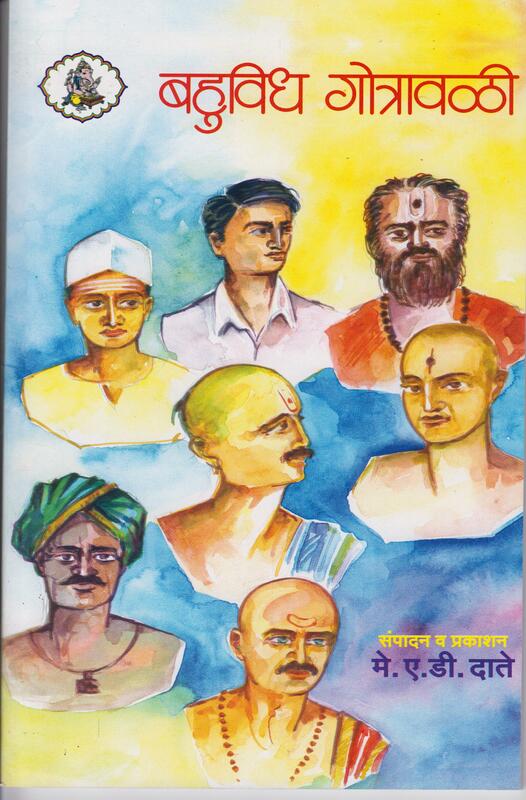 We offer Books and Panchangas in Marathi for both the common man and the Astrologers. (Jotishis) Here is a list of all such books available. Click the one that suites your requirement. The book elaborates on the positions of Grahas (planets in Jyotish sense, i.e. including Ravi-the Sun, Chandra- the Moon) in the coming 10 years starting from 1st Jan 2016 to 31st Dec 2025. The book gives us all Nirayana RaashiPravesha (timings of graha entering in siderial signs) of all Grahas from 1941 AD to 2010 AD. So, if birthdate lies in this period, one can plot the horoscope completely with the help of this book. Also there are details of Ast-Uday viz Lopa-Darshana (heliacal rising and setting) of all visible Grahas occuring in the same period. Late Pandit DhundirajShaastree wrote many articles and gave lectures on Dharmashaastra. There, he elaborated on almost all doubts which we face in our day to day life, regarding Dharamashaastra. Daily Sunrise and Sunsets of various places of India and Important places amoung world. The technical book which helps to compute Lagna, first place in a Kundali (chart), with enough accuracy. 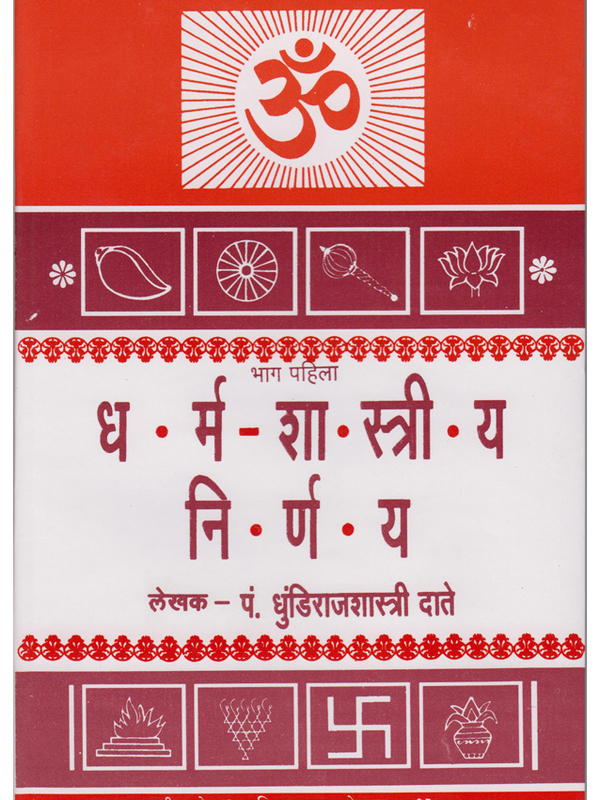 A Pocket Panchanga Dinavishesha presenting information on day-to-day chores. The information given is Gregarian Date, Weekday Tithis, Nakshatra, Speciality (ie. Dinavishesha) of the Day, Muhurtas etc. This gives information according to the Gregarian Calender months ie. for the year 2019 AD (1st Jan - 31st Dec). A booklet describing Ayurvedic relevance of the trees and plants associated with Nakshatras (constellations) and mythology behind the deities associated with Nakshatras (constellations). It is believed that by chanting typical Stotra, one is favoured by proper functioning of our health systems like Heart and blood circulation, Eye etc. If there is any malfuctioning in those systems, chanting respective stotra helps in curing the system. Some of these stotras are compiled in Aarogyastotre. Late Pandit DhundirajShaastree wrote many articles and gave lectures on Dharmashaastra. There, he elaborated on almost all doubts which we face in our day to day life, regarding Dharamashaastra. कै. धुंडीराजशास्त्री दाते यांनी वेळोवेळी दिलेल्या धार्मिक शंकासमाधानाचे संकलन असलेली पुस्तके. 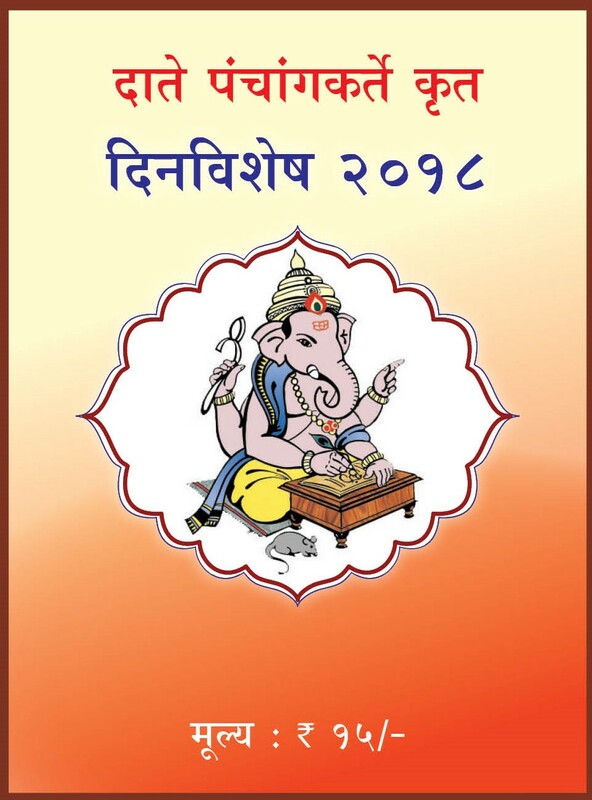 Yearly Calender of 2019 Jan to Dec. Easy design of Calender details like Tithi, Nakshatra, Shubhashubh days, Dinvishesh of Dates etc. Its a Book of 5 years Panchang together for previous years. It content information of 10 years (22 March 1939 to 29 March 1949) Panchang and planetory details only. Very useful for Astrologers. How to increase Dhan ? Which stotra? How many times? From when to start? Read in details. Information about Adhik Maas (Mal Maas). Adhik Maas mahatmya and other stories. This is very auspicious to read in Adhik Maas. Gotra information for most of the cast are covered in this book. Surname and Gotra are mention for Most of the cast. आडनावानुसार बहुतांशी समाजाच्या गोत्रांचे संकलन केलेले पुस्तक. It is same as regular panchang only size of this panchang is big. Easy to read as type size is big.